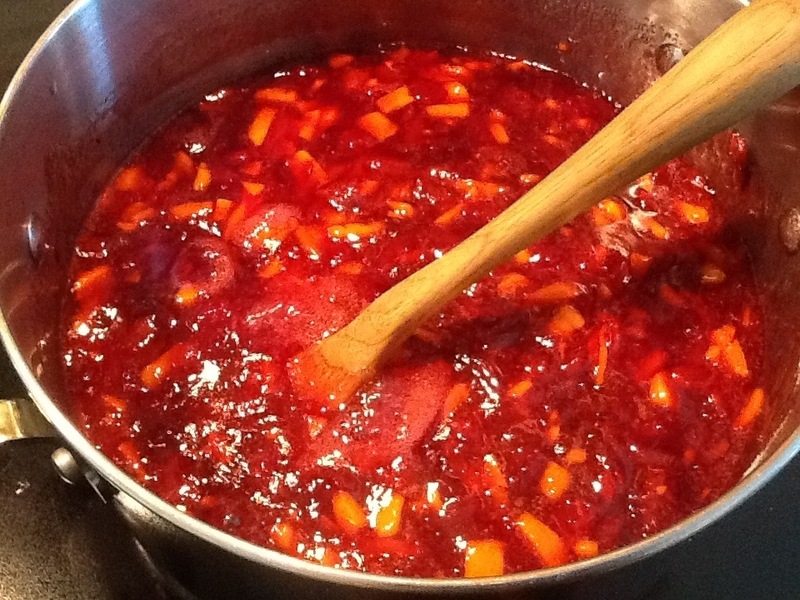 how to make jam | ARTZCOOL'S BLOG! I’m back! We have been pretty busy the past few weeks, We are almost ready for our grand reveal of our backyard renovations…it has been a disaster area here for the last month…but we are onto the finishing touches now. So, between the reno, and going to Darien Lake, then Niagara Falls… we have had our hands full packing, unpacking and cleaning. In between all this chaos, I have had a little time, just no time to write about what I have done! 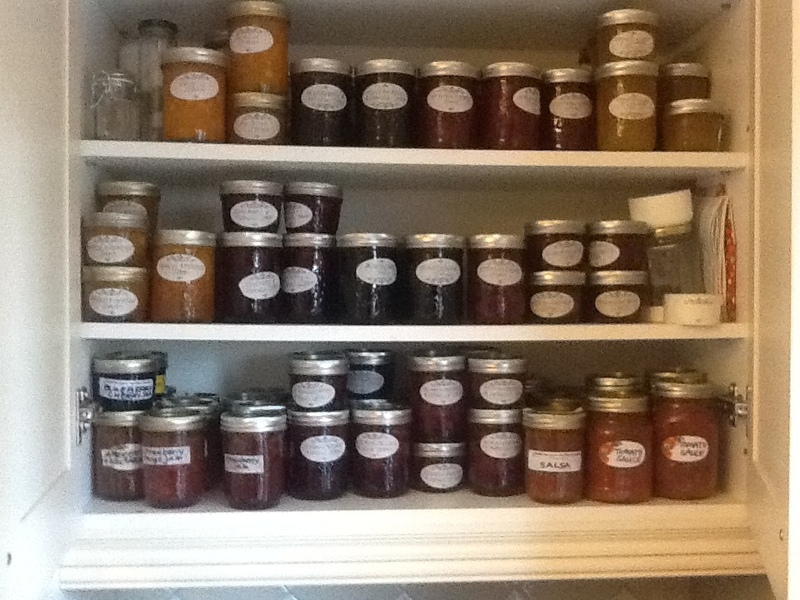 Every summer I make 15 to 20 batches of jam, jelly, and sauces. I do this for Christmas presents for the kids teachers, hostess gifts, etc. Everyone is so busy around Christmas, there is never enough time to do something personal or homemade, so all I have to do is reach into the cupboard and grab a couple bottles of jam and put them into a fancy basket… My first time making jam was for my wedding. I decided to make a jar for each guest (no pressure there, right?) FYI John and I celebrated our 11th anniversary yesterday. The thing that takes the most time when making jam is the cutting the fruit, but luckily, I have great helpers! 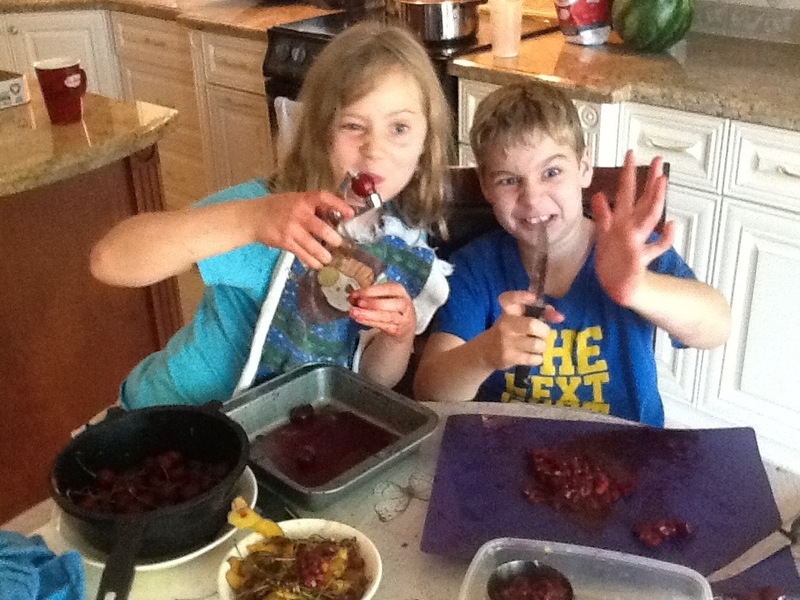 Here is the kids helping with a batch of cherry jam…maybe I will do the cherries by myself next time! When it comes to ingredients, I am a loyal Certo customer. 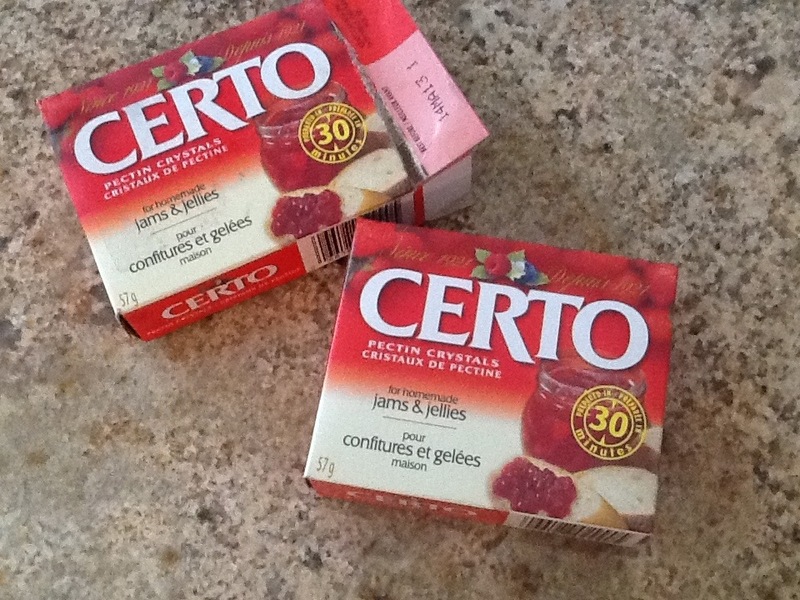 (Certo is the pectin that you add to thicken the jam) I have tried other brands over the years, but I have always gone back to the powdered Certo. 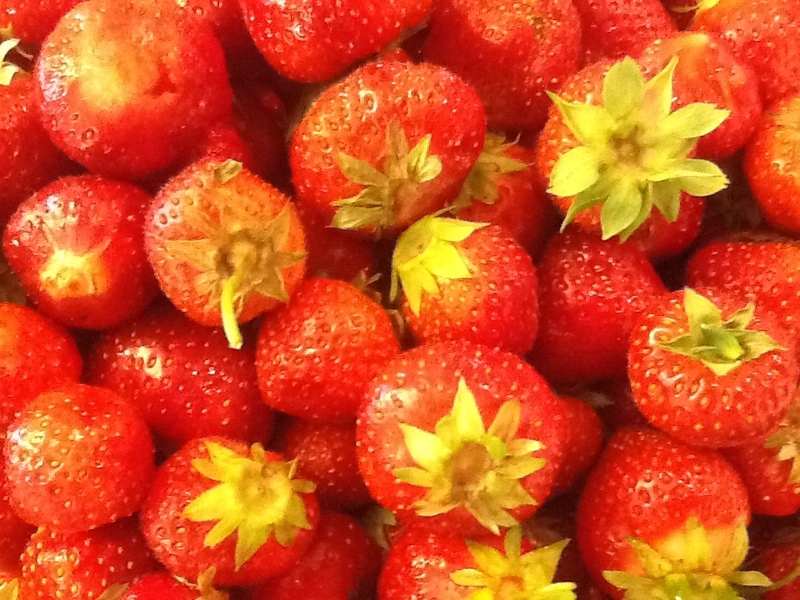 I find I can substitute different fruits, and almost always, I end up with a great result. 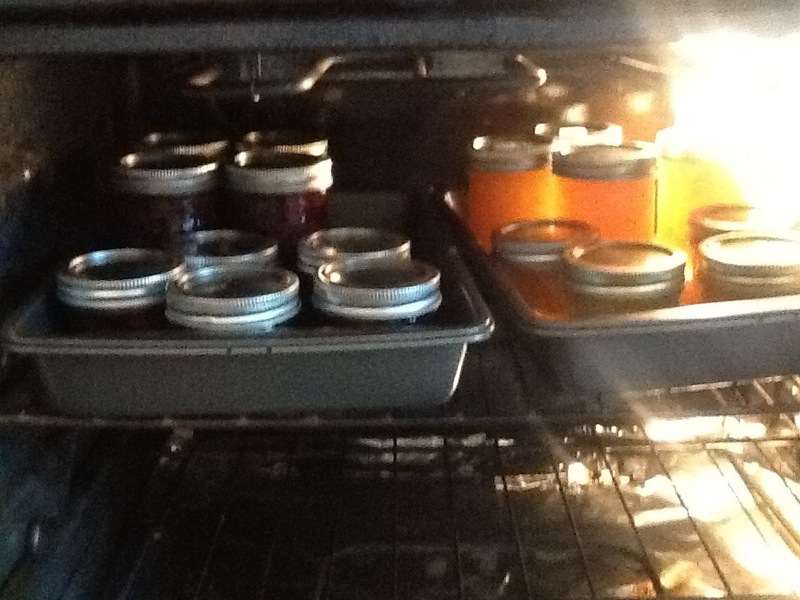 Here is my top secret trick for sterilizing jars….Once all of the fruit is prepared (washed, peeled and cut up), turn the oven to 300 degrees, take the lids off the jars and put both the jars and lids in the oven. 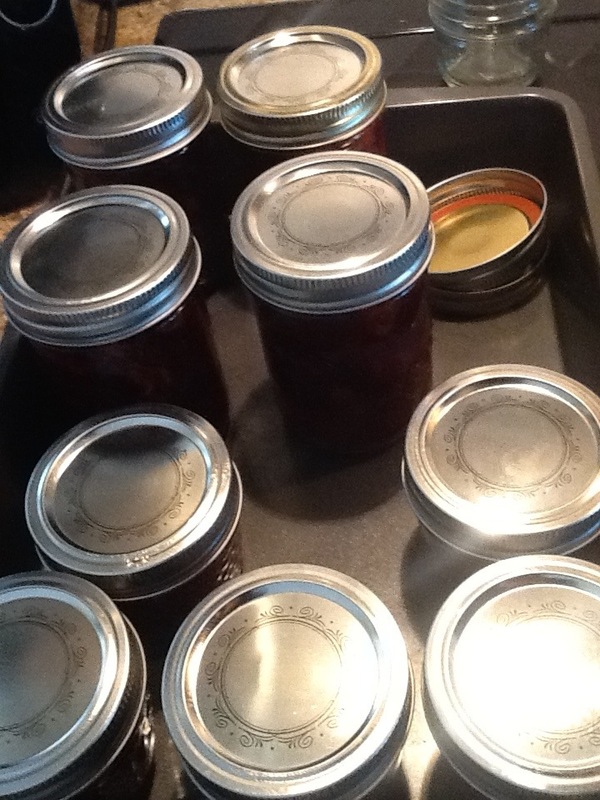 The heat of the oven sterilizes the jars. You only need to leave the oven on for about 10 minutes, but keep the empty jars in the oven. Then add the sugar, and bring to a boil. Important :Not a boil like this…. It has to be a full rolling boil, like this…. 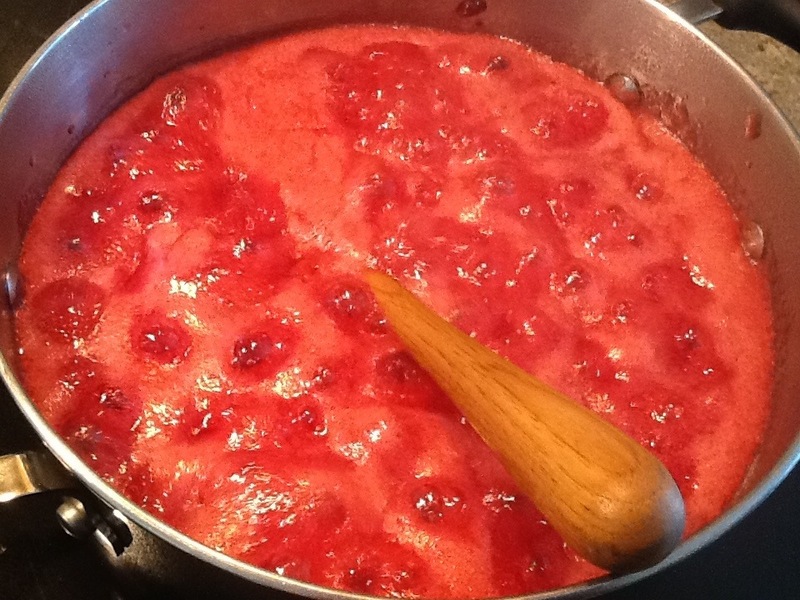 Wait until the jam boils to almost double its size, then set your timer again for a minute and let it boil. For this step, it is ok if you let it boil for more time. Stir if you want to, I really can’t tell you the difference between stirring and not stirring. After the minute has passed, take the jam off of the heat and let it sit for five minutes. 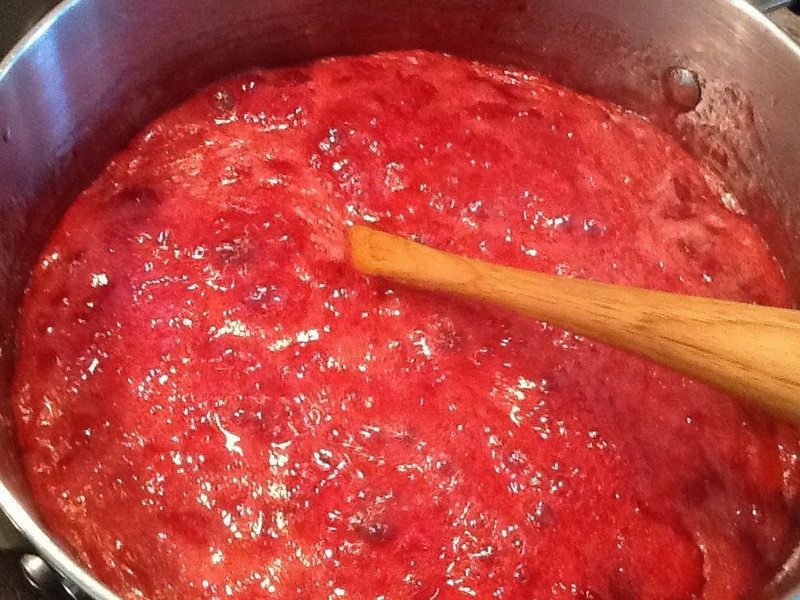 This allows the jam to thicken for a couple minutes so all of the fruit doesn’t end up floating at the top. Skim of the foam if it bothers you. Also at this point turn off the oven. Get a slice of toast or bread and try a spoonful -I love warm jam! Trust me, it’s good! 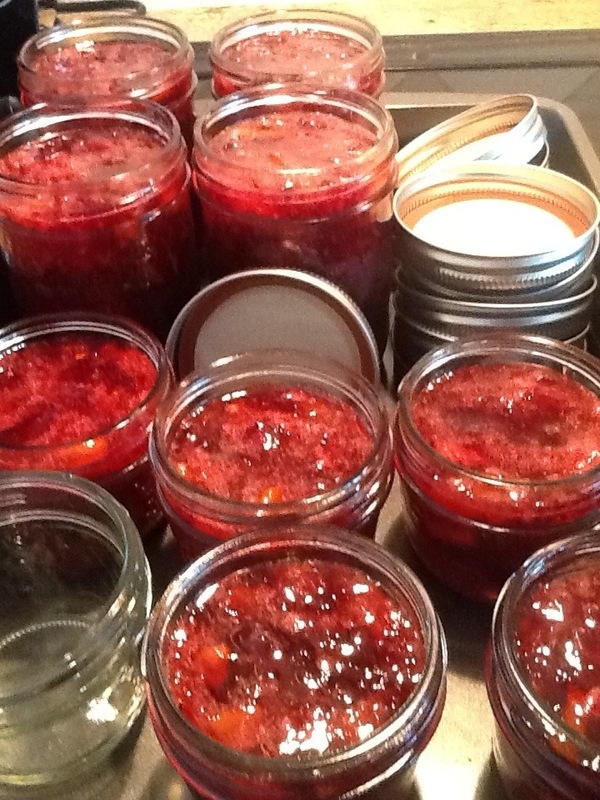 Then fill the jars, wipe off any excess jam off of the tops and sides of the jars and screw the lids on. Don’t forget to use oven mitts, I have burned my hands at this stage more times than I want to admit without sounding like an idiot. Now here is the cool thing I learned from John’s mom; put the hot jars back into the hot oven, and leave them there until they have completely cooled. This will seal the jars. No need to boil or process the jars! I have a couple jars I have purposely kept for 4 or 5 years, and they are still fine. As long as the oven is really hot to start with, they will seal perfectly overnight. Gotta go, time to make some toast!